LINKS BETWEEN AN Irish public relations consultant based in New York and the Clinton Foundation have been highlighted in emails released by WikiLeaks. Declan Kelly co-founded consulting firm Teneo Holdings with American businessman Doug Band, one of Bill Clinton’s closest aides. 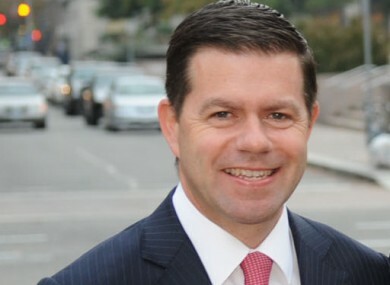 Kelly is the brother of former Environment Minister Alan Kelly and served as Hillary Clinton’s economic envoy to Northern Ireland from 2009-2011, when she was US Secretary of State. Bill Clinton was a paid adviser to Teneo until the end of 2011, when he became a “friend and unpaid adviser to Teneo and its founders,” a spokesperson previously told Politico. The memo was in response to an audit by law firm Simpson Thatcher into the activities of the Clinton Foundation, undertaken at Chelsea Clinton’s request due to concerns she had about potential conflicts of interest. It previously emerged that Bill and Hillary’s daughter raised concerns about Teneo in an email sent to John Podesta, now Hillary’s presidential campaign chairman, and others in December 2011. She wrote that two people “separately voiced concerns directly to me about Teneo” at a Clinton Foundation event in London. Bill and Hillary have made millions of dollars from giving speeches in various countries over the years. He lists out the clients whose donations to the foundation were helped by Teneo’s input, including $4.3 million (€3.9 million) from Coca Cola, $1.1 million (just over €1 million) from Barclays, $780,000 (€713 million) from Dow Chemical, $540,000 (€494,000) from UBS Wealth Management and $350,000 (€320,000) from the American Ireland Fund (AIF). Band notes that Kelly has “advised the CEO of Coca Cola for years; he also enjoys a close relationship with one of the company’s largest shareholders Don Keogh”. Mr Kelly introduced the CEO of Coca Cola, Muhtar Kent, to President Clinton in January 2009 at a meeting he arranged at President Clinton’s home in DC. Over the course of 2009, Mr Kelly cultivated Mr Kent’s interest in the Foundation … Mr Kelly asked Mr Kent to give $5 million to the Foundation, which he pledged in early 2010. Mr Kelly has collected $3 million of that pledge to date and he and I both will secure the remaining $2 million in the near future. UBS paid Bill Clinton $450,000 (about €412,000) for speeches in 2011 and an additional $450,000 was due to be paid in 2012. In the unique roles in which we have had the opportunity to serve, we have been able to help balance the multiplicity of activities that demand his time and engagement to best fulfill his personal, political, business, official former President, and Foundation/non-profit goals. As the memo demonstrates, Teneo worked to encourage clients, where appropriate, to support the Clinton Foundation because of the good work that it does around the world. It also clearly shows that Teneo never received any financial benefit or benefit of any kind from doing so. CNN notes that while the Clinton Foundation and Teneo are run by people who have been in the Clinton circle for years, a direct line between the two organisations has never been officially confirmed. In 2015, the US State Department investigated an arrangement which allowed one of Hillary’s top aides, Huma Abedin, to consult for Teneo and other agencies. Email “Leaked memo shows PR firm with Irish links helped set up lucrative speeches for Bill Clinton ”. Feedback on “Leaked memo shows PR firm with Irish links helped set up lucrative speeches for Bill Clinton ”.